Recently the Pioneer Woman released her newest collection in Walmart stores around the country. Don't get me wrong, they are beautiful and I am more than tempted to pick up a new set of dish ware from her, but I've also seen some posts on social media that show that some of her previous products are less than perfect. In fact, one product in particular has been giving shattering performances. The Pioneer Woman debuted her first collection back in 2015 but most social posts mention the products were part of her collection in 2017. This collection included floral plates, a pre-seasoned cast iron set and a collaboration on slow cookers with Hamilton Beach. Felicity Carter tweeted that while reheating food in the microwave using her Pioneer Woman plate, her plate had broken in half. Is the Pioneer Woman cookware safe to use? That's nothing compared to what happened to Lara May, who lives in Texarkana, Texas. On October 31st, while preparing a Mexican potluck for her coworkers, her Pioneer Woman Hamilton Beach slow cooker practically exploded. The glass on the top shattered and ruined her meal. A quick look in the comments and it seems that this problem is more common than one would think. And this time it's geared towards the brand which manufactured the Pioneer Woman's slow cookers: Hamilton Beach. According to Hamilton Beach, over 2.7 million of their slow cookers have been recalled due to faulty issues. It seems as if the handles of the slow cookers tend to break, spilling hot food on its users. HamiltonBeach has received 4,700 reports of handles breaking and two cases of consumers who needed medical care due to the faulty slow cooker. 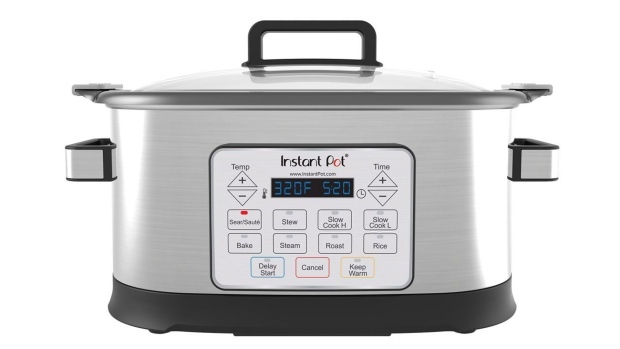 And most recently the United States Consumer Product Safety Commission has recalled 104,000 Instant Pot multicookers due to overheating and posing a risk of a fire hazard. We don't need to relive a This Is Us slow cooker moment anytime soon. The 8-in-1 multicookers are to be returned to Walmart to receive a full refund. So far, no one has posted anything on social media about the Pioneer Woman's newest collection, which is a relief for fans and consumers. Perhaps the collection has been produced slightly differently to prevent some of the mishaps customers had in the previous collection. And if anything does go wrong, the Pioneer Woman is ready to replace any piece of kitchenware or cookware that happens to break on its own.